The move sparked a row with European privacy regulators, whose joint calls for Google to halt the changes were ignored. The Information Commissioner’s ultimatum follows similar action from French and Spanish regulators. 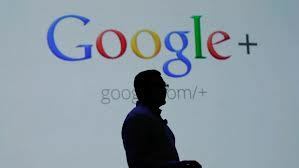 “We believe that the updated policy does not provide sufficient information to enable UK users of Google’s services to understand how their data will be used across all of the company’s products,” a spokesman for the Information Commissioner said on Wednesday. Google has already been censured in Europe over its collection of Wi-Fi data, including usernames, passwords and web page viewing while collecting photos for its Street View system. Both European privacy authorities and US legislators have demanded clarification from the company about the data protection implications of its Google Glass head-mounted system, which can take pictures and video without onlookers knowing. It has also been implicated in a data-sharing row over the NSA’s Prism program, which has collected information from a number of US companies including Google, Microsoft and Apple.